Genesis Open betting tips & predictions – the Genesis Open, formerly known as the Northern Trust Open, was first played in 1926 and is played annually in Pacific Palisades, California. 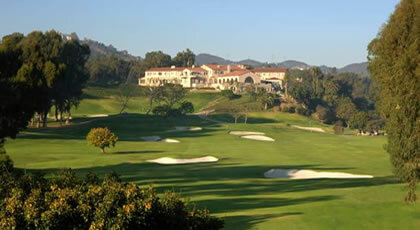 The tournament has been contested at the Riviera Country Club on a near-continuous basis since 1973. Designed by golf course architect George C. Thomas Jr., Riviera has hosted the US Open in 1948 and the PGA Championship in 1983 and 1995. It also hosted the US Senior Open in 1998. Noted for its spectacular beauty and challenging design, Riviera Country Club is recognised as one of the best courses on the PGA Tour. Riviera is a Par 71 (35-36) that measures 7,349 yards. Finding the fairways and even the right part of the fairways is key in order to attack pins and set up birdie opportunities. The fairways and rough consist of a tough strain of grass called Kikuya which makes for perfect lies on the fairway, sitting the ball up. However in the rough the grass grabs and covers the ball minimising the ability to control shots. Tiger Woods is in the field this week and no doubt will attract the lion’s share of the media spotlight. As a 16-year-old amateur, Woods made his first PGA Tour start in 1992 at Riviera, competing on a sponsor’s exemption. Greens in Regulation is again the key attribute. With a premium on playing from the short stuff, distance gives way to accuracy from the tee. Experienced accurate ball strikers tend to do best with an efficient game tee-to-cup. Riviera is no bargain for scrambling so an A-game is required in getting the ball up and down around the small green complexes. Last year, Bubba Watson carded a final round -2 (69) to finish on -12 (274) to win his third title at Riviera and 10th PGA Tour victory. His previous two victories in the tournament came in 2014 and 2016. Dustin finished the week 1st in Strokes Gained Off-The-Tee and 3rd in Stokes Gained Putting giving a combined 12.57 stroke gain on the field average. He finished the week T45 for Driving Accuracy, 1st for Driving Distance, 1st for GIR and T16 for Putts per GIR. The 2016 champion, Bubba Watson, was two shots behind with four holes to play in the final round. Birdies on 16 & 17 was enough to capture his second title at Riviera. Bubba finished the week T16 for Driving Distance, T50 in Driving Accuracy and T7 for GIR. When he won in 2014 he was 1st, T8 and T3 for the same stats respectively. 2015 saw seven players having at least a share of the lead during the final round. James Hahn got up-and-down from behind the 18th green in regulation play to save par for a -2(69) and earn a place in a playoff with Dustin Johnson and Paul Casey. He holed a 25-foot birdie putt at the third extra hole to capture his first PGA Tour title. Hahn won with a negative Strokes Gained Putting ranking 50th for the stat. Xander Schauffle 25/1 (E/W) – had a Top 10 finish in his debut appearance last year at Riviera. Easy to forget that he has won twice already this season (WGC HSBC & Sentry TOC), he finished T10 in his last outing in the WM Phoenix Open. The talented Californian places inside the Top 10 in this week’s Stats Analysis and is also 4th on Tour for SG:Putting. His professional career has scaled to new heights and deserves due consideration each time he tees it up. Arriving in confident mood and won’t be phased by the field depth. Hideki Matsuyama 28/1 (E/W) – followed up a T4 here in 2015 with a T11 in 2016, affirming that he is up to the challenge of Riviera. Has 3 x Top 25’s from five starts this season including a T3 a few weeks back at the Farmers Insurance Open. Places inside the Top 30 in this week’s Stats Analysis he is also 3rd on Tour for SG:Approach-The-Green and 16th for Scoring Average. This is a course where ‘weaker’ putters can thrive which should suit the tee-to-green supremo. Gets the nod this week based on recent form and stats.